Home / Ann Costantino / Words from Camp Limbo: What are they thinking? Tuesday night’s nail biter may have left the winner of the Democratic primary election for Baltimore County executive a mystery, where a few hundred votes separated top two candidates, Jim Brochin and Johnny Olszewski, Jr., leaving the result for which Democratic candidate will face Republican winner, Al Redmer, Jr. in limbo. But with only 42 votes now separating Brochin and Olszewski, after the remaining precinct’s votes and first round of absentee ballots were tallied, the waiting game for some has become an all-out suspense thriller. With provisional ballots left to count after a computer programming error at the Motor Vehicle Administration failed to forward nearly 80,000 voter address and party affiliation changes to the State Board of Elections, the victorious Democratic candidate for Baltimore County’s executive won’t be known until next week when roughly 2,400 provisional ballots – estimated for the county – will be counted. But as anxious supporters of each candidate may be biting their fingertips down to nubs by now, The Baltimore Post wondered how the Brochin and Olszewski ‘s camps were dealing with the drawn out virtual tie, themselves. How they think they got there and how each candidate is processing what likely feels like the longest week of their political careers. 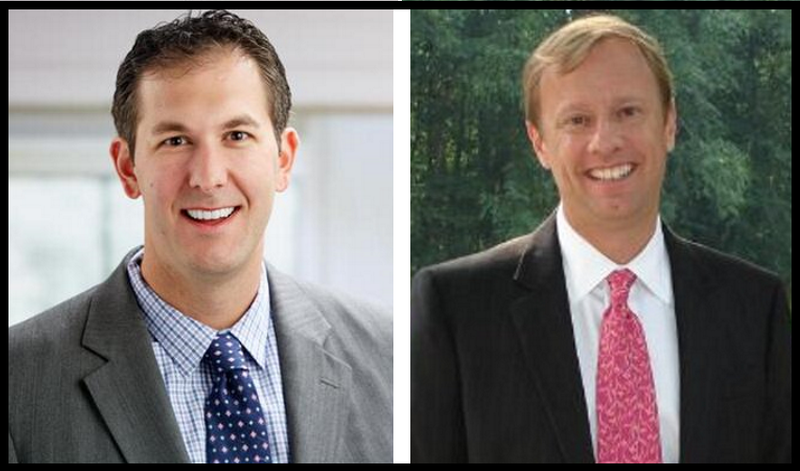 As of June 30, 42 votes separate Olszewski and Brochin, with Almond trailing Brochin by 1,017 votes and Olszewski by 1,059. But how are the top two contenders dealing with the uncertainty? Former State Del. Johnny Olszewski’s campaign manager, Tucker Cavanaugh, spoke for Olszewski and the Olszewski camp. “We are really excited,” he said. As Tuesday’s election neared, Almond and some of her allies pummeled voters with a series of attack ads directed at Brochin. The ads criticized Brochin for his voting record, specifically, and an outdated “A” rating he had with the National Rifle Association (NRA). The attack ads on Brochin were misleading and pointed to a previous NRA “A” rating Brochin had. Brochin actually has had an “F” rating with the NRA since 2014. The ads, however, stated inaccurately that Brochin had an “A” rating, in the present tense. The Baltimore Brew and Towson Flyer published stories questioning the accuracy of the attack mailers. Both online publications fact checked statements made in what The Brew called a “smear campaign” by Almond against Brochin. The Brew found that of the seven claims made in the attack ads, the majority were unverifiable, two were misleading and only one held up as true – an issue having nothing to do with the NRA. The Brew also reported that former Baltimore County Executive Jim Smith and Towson-Based developer, Caves Valley Partners, dropped tens of thousands of dollars into a super PAC – The Baltimore County Victory Slate – which helped to fund the campaign against Brochin. The Flyer also conducted a video interview with Brochin in which he explained his voting record and was able to set the record straight. But while Almond and Brochin spent the weeks and days leading up to the election battling, Olszewski slipped quietly past both candidates, riding a wave with a message about keeping it positive. Even still, Brochin said he had anticipated Olszewski’s rise, despite an early June poll showing Olszewski trailing Almond, who, at the time the poll showed was trailing Brochin. Brochin said he knew Olszewski would “come up the middle,” but remained focused on why he decided to run for county executive instead of attacking Olszewski’s campaign and voting record. Brochin’s message has resonated with voters who have been especially sensitive to development projects in Towson led by Caves Valley Partners, a generous campaign contributor to Baltimore County politicians. And he said he anticipated doing well in the early voting numbers, which were votes that would have been cast before Almond’s negative campaign ads began. Brochin says he anticipates 70-90 more votes to come from ballots temporarily pulled from the election that test the integrity of the election process. Those votes will be counted by the end of the week, along with the remaining absentee and provisional ballots that were used due to the MVA’s electronic transmission error. Voters impacted by the MVA’s error were still permitted to vote, but were offered the alternate provisional ballots. As for the remaining absentee ballots, Brochin says he does not expect to do as well as he did with those that came in early. He says those later voters would have been exposed to Almond’s negative ad campaigns that cited the inaccurate NRA rating. The remaining absentee ballots must be postmarked by June 26 and be received by Friday in order to be included in the final count. But he says it will be the provisional ballots – to be counted on Thursday – that will be the wildcard. While neither camp ruled out the possibility of – or need for – a recount, the provisional ballots are key. Brochin estimates that about half of the provisional votes will be from Democratic voters. “What are the provisionals? How did the 1,200 vote?” Brochin said. Exactly how many showed up to vote, however, as well as the actual breakdown between Republican and Democratic voters who filled out the ballots is not known, heightening anxiety and making it difficult for anyone to project a win. But the Olszewski camp is surefooted Johnny O will have the votes. “We are confident that after every vote is counted, we will be in a good place,” Olszewski’s campaign manager, Cavanaugh, said. Brochin dug deep and persevered throughout the campaign, too. He told The Baltimore Post he had a painful illness during the campaign, but even participated in The Baltimore Sun’s county executive debate while being treated for shingles, a painful rash related to the chicken pox virus that travels down the body’s nerve fibers and causes extreme nerve pain. Brochin said the pain from the shingles was excruciating at times, but he declined pain medication in order to keep a clear head during the campaign and debate. “The pain was really debilitating,” Brochin said. Brochin was more cautious in his prediction, however. “Am I confident? No,” Brochin said. “Am I pessimistic? No,” he added.